Today, as 100G Ethernet widely deployed and becoming an important part of the data center, network device developers are increasingly motivated to produce 100G optical transceiver. Moreover, the produced 100G optical transceiver must consume less space, achieve a lower price, and have better performance, such as QSFP28 modules and CFP modules. They are also the themes we are going to discuss today. With the decline of the price, 100G optical transceivers are becoming more and more popular among customers. The 100G QSFP28 and CPF optical transceiver, as the main transmission medium of the 100G network, dominate the 100G hardware market. Then what are them? QSFP28 is a hot-pluggable optical module designed for 100G data rate. It is considered the most promising 100G optical module because of its small size and low power consumption. This 100G module integrates 4 transmitting and 4 receiving channels, and each channel can send and receive data of 28Gbps at the highest. 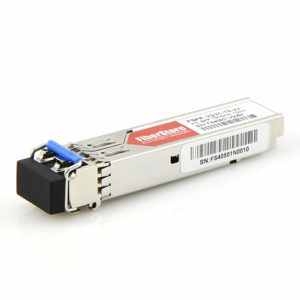 It has two main types: QSFP28 SR4 and LR4. The detailed specifications of these 100G transceiver modules like QSFP28 CWDM4, PSM4, ER4, etc., can be found in this article: Understand 100G Transceiver Transmission Principles. The full name of CFP is C form-factor pluggable. In Roman numerals, the letter C denotes the number 100 (centum). The CFP module is defined by CFP MSA to support 40G, 100G and 400G applications. It includes pluggable CFP, CFP2 and CFP4 transceivers. CFP is the pioneer of 100G optical transceivers, which can do the 10x10G and 4x25G connection. However, the size of the original CFP is very large. In order to meet the data center for higher performance and higher density requirements, CFP2 and CFP4 were developed. The former size is only 1/2 of CFP, the latter is only 1/4. 100G QSFP28 Vs. CFP: How They Differ From Each Other? Here, we will introduce the differences between the two transceivers from four aspects: power consumption, port density, applications, and cost. Power consumption: the power consumption of the QSFP28 transceiver is usually less than 3.5W, while the power consumption of the CFP module is usually 6W to 24W. Therefore, the power consumption of the former is much lower than that of the latter. Port density: the first generation 100G transceiver is CFP transceiver, followed by CFP2 and CFP4. As mentioned above, the size of the CFP4 is only 1/4 of the CFP transceiver. But the size of the QSFP28 transceiver is less than CFP4, which means that the latter generation transceiver has a higher port density on the switch. Applications: CFP, CFP2 and CFP4 transceiver modules can be used for 40G and 100G Ethernet, while QSFP28 can only be used for 100G Ethernet. However, when used in data centers, enterprise and service provider networks, CFP modules have not yet been widely adopted. Cost: experience shows that the price of the CFP module is higher than that of QSFP28 module under the same transmission length. Let’s take the two transceivers of FS as an example: the price of Cisco QSFP-100G-SR4-S compatible 100GBASE-SR4 QSFP28 for 100 meters is just 99 dollars, but that of Cisco CFP-100G-SR10 compatible 100GBASE-SR10 CFP for 150 meters is 1500 dollars. QSFP28 and CFP have so many advantages, but they are just two of the many solutions of 100G Ethernet. For the specific applications of data center and server room, specific problems need to be analyzed in detail. But we cannot deny that the two series optical modules have brought new solutions for 100G applications. They will rapidly promote 100G Ethernet development. If you have any questions or needs for the two optical modules, welcome to visit www.fs.com. This entry was posted in CFP/CFP2/CFP4/CFP8, SFP28/QSFP28 and tagged cfp modules, optical transceiver, QSFP28 on September 5, 2018 by Admin.